The Eagle Clawed Wolfe takes its name from the headline of a rather evocative Seventeenth Century broadsheet, which slung mud at the reputation of Prince Rupert of the Rhine. Rupert, before going on to be a privateer, courtier, investor in new world colonisation, scientist, artist and alleged inventor of party novelties had, of course been one of the foremost generals in Charles I’s royalist army in the English Civil Wars. This earned him the disapprobation of much of the country. In other pamphlets, Rupert would be accused of a wide variety of sins, beyond the conventional war crimes of the Wolfe With Eagles Clawes broadsheet, ranging from sexual congress with his pets to witchcraft, or worst of all, Catholicism. As you may have read from my article on the Wolfe, as the broadsheet itself makes no mention of this decidedly odd hybrid I have a strong suspicion that the publisher had lifted the phrase “Wolfe With Eagles Clawes” and its accompanying illustration from an earlier publication, which has been lost (to me at least!). Although it is purely speculation, this recycling of headlines occurred me recently when I read some modern incarnations of the abusive pamphlet. Those of you outside of the UK will probably have missed this incident entirely, whilst those within will be fed up of hearing about it, but back in September, the Daily Mail, a right of centre, populist tabloid with a distinct nasty streak, ran an article about Ralph Miliband, father of the leader of the Labour party, Ed, under the headline “The man who hated Britain”. Miliband Senior was one of those committed, angry, otherworldly Marxist academics who post war Britain fostered. The article suggested that the Jewish refugee Miliband ungratefully despised his adopted country and this was a profound influence on his sons. The article insisted that this upbringing somehow made his son, Ed dangerous and unfit to be Prime Minister. 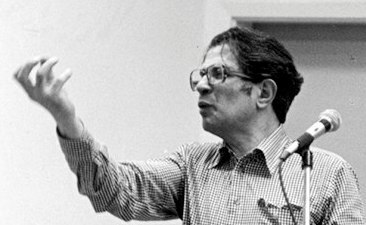 Ralph Miliband – The Eagle Clawed Marxist? Now I’m sure it is not coincidence that both Ralph’s sons are Labour MPs, and Ed, at least, is on the left of the party, but in my view his background no more disbars him from office than Cameron’s Old Etonian providence makes him ineligible for his. Most people seemed to agree the article was a shabby, vindictive piece of journalism. It transpired that the Mail had infiltrated a funeral to talk to Miliband family members and used of pictures of Ralph’s headstone (since removed from the online article) and family pictures which offended many sensibilities. I had a good degree of sympathy with Ed Miliband, despite my being far from an admirer, although much of this goodwill inevitably evaporated as the Labour gilded the lily of indignation beyond recognition in layers of righteous bluster. The fuss eventually died down, thankfully largely forgotten. Then a few weeks ago (when browsing for I’m not sure what), I came across another Daily Mail article, from October last year. It was A.N. Wilson‘s reaction to the obituaries on the BBC and in the left leaning press on Eric Hobsbawm, another Marxist academic, Jewish refugee and a contemporary of Ralph Miliband. 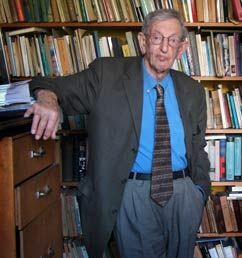 The article describes Hobsbawm’s much quoted position that the oppressions and killings of Stalin and the Eastern European communist regimes were justified a position he only modified after the fall of Communism – and then only because the revolution failed. Hobsbawm taught at Birkbeck until shortly before I was there and I am one of the “one in 10,000” who Wilson say have heard of him, and read some of his work. Whilst I believe that much of what Hobsbawm concludes is wrong and I can’t buy into his coldly dispassionate (or is it hotly passionate?) Marxist historiography and find it hard to forgive his consequent dismissal of horrors from the Terror to the suppression of the Hungarian uprising as essential trivial episodes on the route to true proletarian revolution, I am always left with a nagging doubt that he might, in fact, see the big picture more clearly than I. His writing deserves much of the praise the left-wing press heaped on him, for its scope and insight. Misguided he might be, but the author of “lousy books” (Wilson again)? I think not. But it was not the article alone, which, (bitchy though it was) was not without some virtue and validity, which was offensive. The editorial treatment by the Mail was quite spiteful. Eric Hobsbawm, was not, especially in old age, a handsome man by any stretch of the imagination, but the Mail’s selection of photos, supporting their characterisation of a “barmy old man” (Wilson once more) was childishly vindictive, with pictures of him slack-jawed and with sticking plastered forehead. But it was the headline which caught my eye. You may have seen this coming, but it was “He Hated Britain“. So not only had the Milliband piece been an obnoxious cheap shot at Ed but in its content as well as its catchy barbed headline, unoriginal. A self-plagerised copy-and-paste of an earlier article directed at another, man, also dead and beyond both reply and the scope of the libel laws. As the demonised Eagle-Wolfe had (possibly) been borrowed from another vilification to abuse Prince Rupert, the Britain Hating motif had been transferred from one 20th Century Maxist to another. Now I don’t seek to defend either Ralph Miliband or Eric Hobsbawm’s politics, which although they may have had some intellectual integrity, were stubbornly obtuse and sought to justify the unforgivable. Nor am I attempting to defend Ed Miliband, whose attempts at a return to the class conflict politics I had hoped Labour had left behind and (arguably worse in a parliamentary democracy) ineffectualness in opposition have not earned my admiration. However, as an Early Modern Historian the (granted slightly tenuous) parallels between the methods Seventeenth Century populist pamphleteer and the modern provocative right-wing press are irresistible. The modern press is still as nasty and unscrupulous as the Civil War propagandists, and their methods not dissimilar. The rub is though, that very same nasty and unscrupulous Seventeenth Century pamphleteering culture is also that vibrant and liberated period which also been celebrated as the genesis of the English free press, which in turn can be seen as a vital component in the development of Western Liberal Democracy. Following the fall out from the Leveson Report, the debate over the freedom of the press in Britain is as warm now as it has perhaps ever been. The sometimes foul behaviour of the national papers has produced calls for increased regulation, but also counter-claims that any government control of the press, even at arm’s length, damages the vital role that the print media has in keeping those who govern us honest. The Daily Mail’s reporting may have been odious, but, by instinct as well as historical example I am very nervous of allowing anyone to prevent them from doing it. Thanks Patrick. It seems that episode is already on my ipad but for some reason I hadn’t listened to it yet. Have you looked at the excellent mercurius politicus? http://mercuriuspoliticus.wordpress.com/ It is a blog by a friend of mine, Nick Poyntz and is very strong on Seventeenth Century, especially Civil War, print and Henry Walker in particular. We were both lucky to be taught by Filippo De Vivo at Birkbeck. With Macaulay finished, I’m now working through David Hume’s History of Britain form LibriVox alternating with LoudLit.org ‘s Tale of Two Cities with a seasoning of Melvyn Bragg and cricket blogs. I do read, and like, mercurius! Oh, and I didn’t know about LoudLit – thanks for the tip!